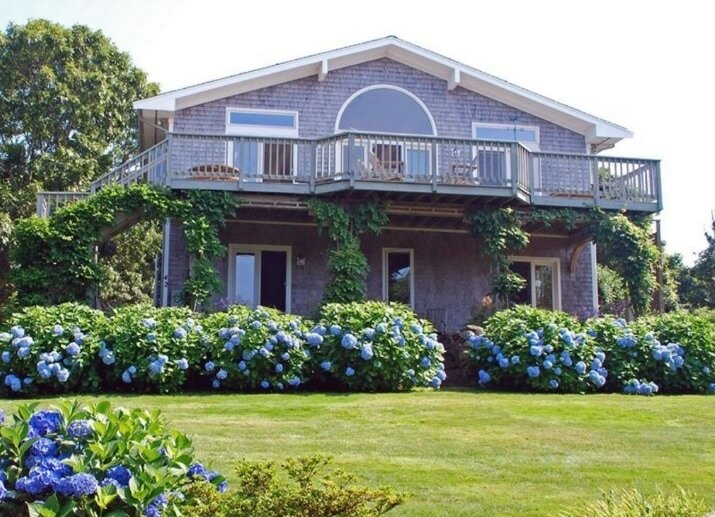 Situated on the west coast of Falmouth, this open, spacious contemporary enjoys gorgeous sunset and ocean views. Cool ocean breezes keep it comfortable all summer. This area of Sippewissett is exclusive and provides a sense of serenity and privacy. A circular drive, holding four or more cars, leads to the home. Enter through double doors to a multi-level solarium that runs the length of the house. The first level has two large bedrooms, one twin-bedded next to the solarium and the other can be either twins or king bedded with french doors leading to a patio and an HDTV. These bedrooms share a marble bath. The master suite has a queen bed, sitting area with fireplace, marble bath and spa, and French doors leading to patio and gardens. A grand oak central staircase leads to the second level. This large, light filled open space with a soaring cathedral ceiling, stunning furnishings and original art, features a living area with corner fireplace, a large dining area and a fully-appointed gourmet kitchen. Three sets of French doors lead to a 40 foot deck with chaises, Adirondack chairs, dining furniture, and a gas grill. In addition, there is a den with sectional couch (sleeps two), built-in desk, WiFi internet connection, cable 46 inch HDTV, DVD Blu-ray player and dozens of games, books and puzzles. A full marble bath completes the second level. 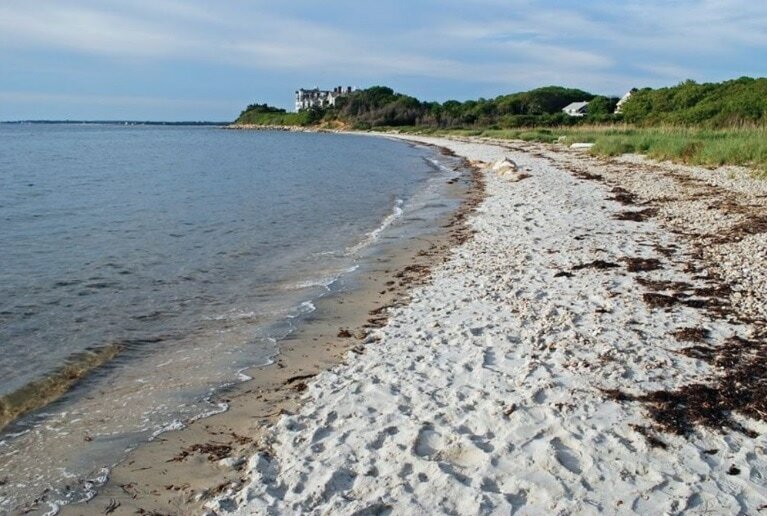 Our private, warm-water beach on Buzzards Bay is a few steps from the house. An enclosed outside shower is available, as is a charming shed to store bicycles. The gardens and patio around the house contain wonderful places for relaxation. Overall there is a romantic quality to the property with its draped wisteria, beach roses and blue hydrangeas. Everything is included for an extraordinary experience in a special part of the world.